Detail of restoration work done to the library. 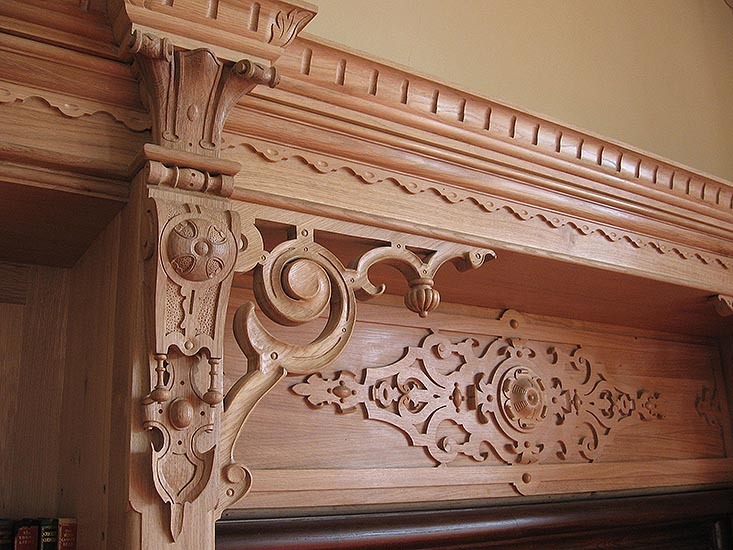 Carved Oak. The library of the 19th century Stoke Rochford Hall was badly damaged in a fire in 2005. Working with a team of Wood Carvers and Specialist Joinery Manufacturers the library was restored back to its former glory. To give an idea of the scale of the job there are 28 corbals and capitals as the one shown in this image carved.